If you’re too attached to anything, it can create a problem. In Buddhism, the key to all of life is non-attachment. If you don’t get too attached, you don’t fear, fret, stress out or act in frenetic ways. Without these distracting, troubling, confusing attachments it’s believed that you head toward enlightenment. Easy to say, but why isn’t it easy to do? We’re all familiar with those quotes about loving people and setting them free to see if that love is real and enduring… but at the same time we hear story after story of jealousy, worry and overbearing neediness from couples every day. We know that accumulating junk and stuff is not a good thing, but there’s an almost painful sensation that can take over when it comes to giving things away. We know that attachment creates all kinds of problems, but yet it’s almost impossible to detach sometimes. 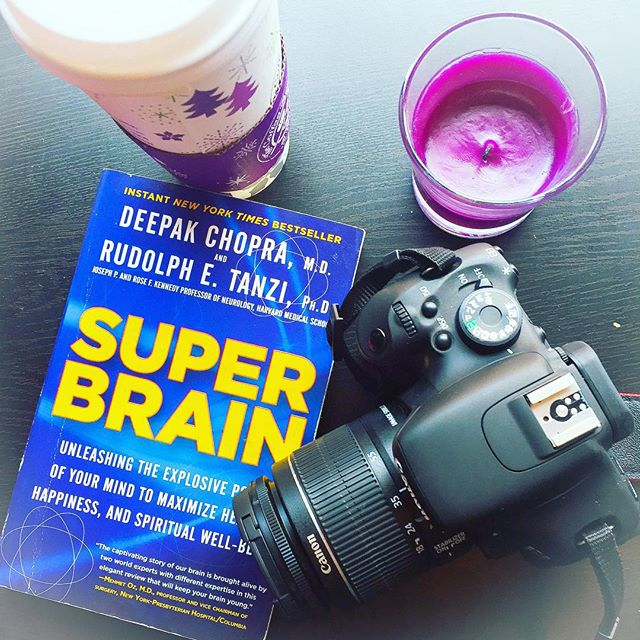 The thing about clearing clutter- beyond creating fresh space in your home and more peace and harmony and organization- is that the process of clearing forces us to tackle our deepest fears and attachments. When you can really away clear things- and people, and memories, and obligations, and toxins and habits- you peel away the layers of stuff that stand between who we are now and our highest potential. “We always relate to routine and familiar circumstances even if they work against us. That is one reason that people stay in abusive relationships, low paying jobs and cluttered homes, because it’s predictable and we become experts in dealing with unpleasant situations.” – Ranka Burzan of SOS (Solutions Organizing and Simple), The SOS Guide to Organize and Clean Your Home. As the saying goes, ‘It’s Hard To Say Goodbye.’ Many people equate holding onto to a feeling or experience, with keeping objects that remind them of that time period. It might have been a time of great happiness, financial success, a special relationship, or even the loss of a loved one. Through holding onto to things that remind them of this “special moment or person”, they feel the time is not lost, but still alive. Conversely, the act of throwing away of one of these keepsakes may bring forth a feeling of loss, which is difficult and unpleasant for many people to do. “I have clients who say they are distressed at all the clutter they have, and distressed at the thought of getting rid of things,” says Simon Rego, director of psychology training at Montefiore Medical Center in Bronx, N.Y. in the Wall Street Journal article The Psychology Of Clutter. While emotional attachment and sentimental value are often reasons people do not throw things away, it is sometimes the result of health or psychological problems. Those who suffer from depression can find it difficult to care about their surroundings and fall victim to a large amount of clutter. People with Attention Deficit Disorder may find it difficult to make decisions and complete a task, before jumping to something else, leaving a mess of unfinished projects and disorganization in their wake. Someone suffering from chronic pain after an injury might not have the ability to conquer tasks around the house. You can read more on this HERE in the New York Times. On more serious side of the spectrum, there are people who have been named hoarders. A study was conducted at Yale School of Medicine between hoarders and non-hoarders to test their brain activity when throwing out their own junk mail versus that of the experimenter. It was found that when confronted with throwing out their own junk, there was increased activity in the cingulated cortex and the insula. The more a hoarder expressed their uneasiness over throwing something away, the stronger the brain activity in those areas. Hoarding has also been seen to develop alongside other mental disorders, such as schizophrenia and dementia. 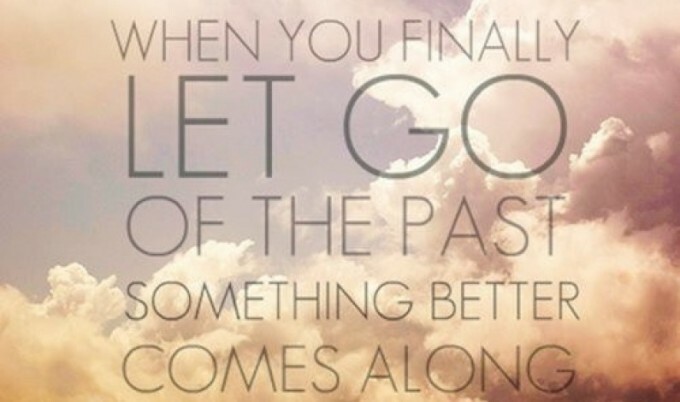 ….we have to let it go anyway! Irrespective of the reasons for the clutter in your home, disorganization and junk can cause anxiety and stress. Many experts believe clutter either compounds weight gain or creates difficulty losing weight. There are so many benefits to living clutter-free, but that starts with a wilingness to unearth and face down the demons, breathing instead of seizing control, looking to flow more than to force. 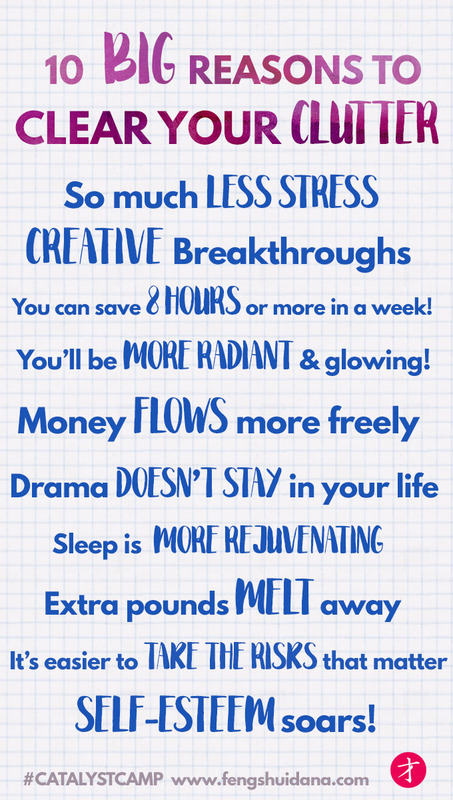 I could tell you that you’ll make more money, you’ll have more time, you’ll be lighter and fresher and happier… (all are true!!!) and it won’t really matter if you’re deeply attached and afraid of what will happen when you le go of things. I know people who held onto addictions because they believed strongly in the idea that these addictions were a part of their art. I know people who’ve suffered in abusive relationships because they truly believed they were meant to be there to turn the situation around… so they become deeply attached to winning and triumph in this power struggle while every day falling deeper into despair. These same people also have a hard time letting go of physical stuff. Digging into their clutter, they became the highest versions of themselves. They became self-empowered, more compassionate and more raw and real. They connect to life more deeply. Art flourishes. Love flourishes. Genius flourishes. Strip away the layers of dust and confusion and limits and become your best version of you! It’s astonishing what you can do if you’re willing to dare to get rid of everything- from bad ideas to unflattering sweaters- that don’t do you a service. P.S. : The Love Camp is coming, filled with eight weeks of bliss-making empowerment for your home and your life! 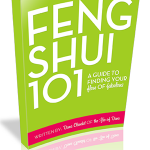 Whether you’re looking to attract new love, love yourself more, love your life more or expand the love you have now… it’s the feng shui of the highest frequencies to bring you harmony and turn your life to more and more love everywhere you look! The Life-Changing Law Of Cause & Effect!